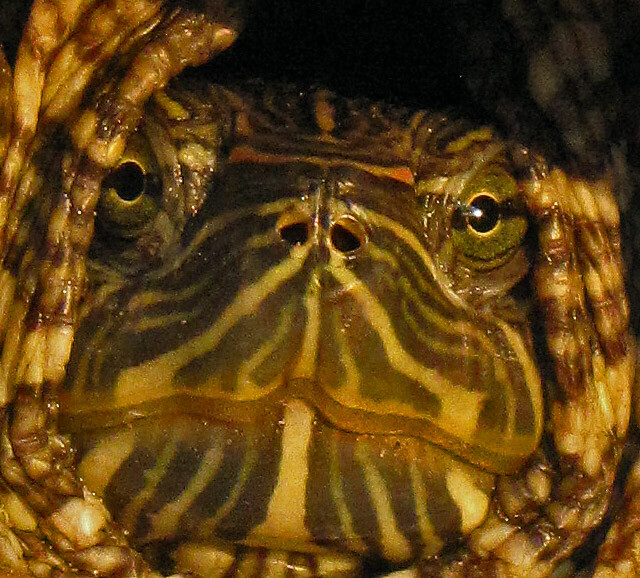 A friend of the farm, this red-eared slider, stopped by while I was working in the garden. 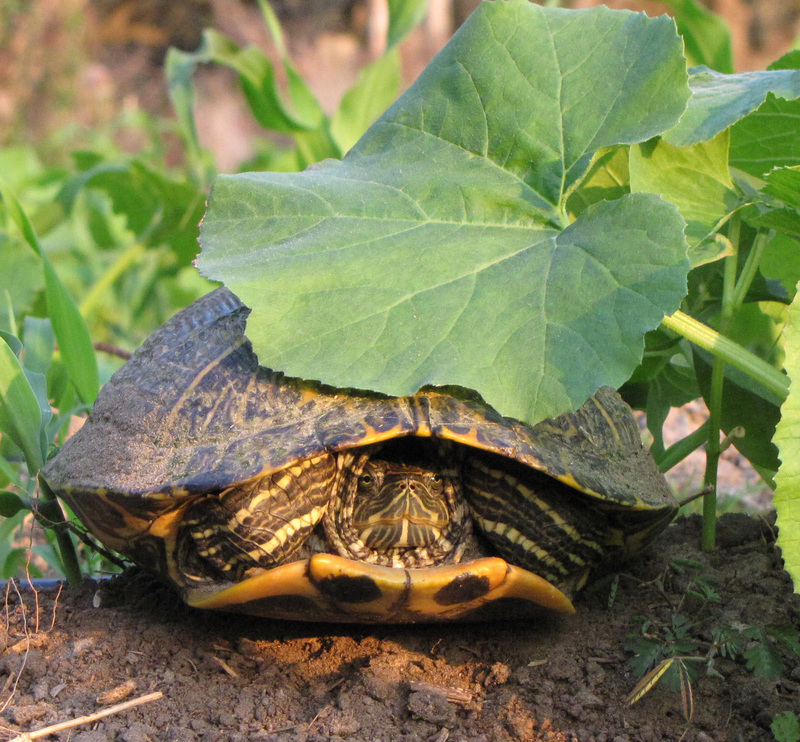 He plodded across the rows until he got to me, then stopped under a squash leaf to watch me work for a while. I’m not sure what he was thinking about while he watched me work. Maybe he was curious or maybe he was just waiting for me to get out of his way.